You may have wondered if I've fallen off the planet this year as I've been so inconsistent in my blogging. I've spent nearly 3 months in total this year traveling and working overseas - and it's not over yet. To top it all of I returned home last week to find that I've been called to do my civic duty this week. While I love my job and what it entails, and I'm happy to do my civic duty, it means that I have neglected other parts of my life - like this blog. Once again I'm determined to make a change and start to get a little more regular with my updates. Well with that explanation over an done with I want to continue on with a blog post about inspiration. See that picture on the right? Well it was my inspiration. It's the gorgeous packaging that comes around some even more divine soap. I bought it about a year ago and decided I was going to make a whole lot of gifts just like it. Of course I put it on the shelf and never got around to it. Then Aviary came into my life. For some reason (I blame the owl punch) I've developed a slight obsession with birds. 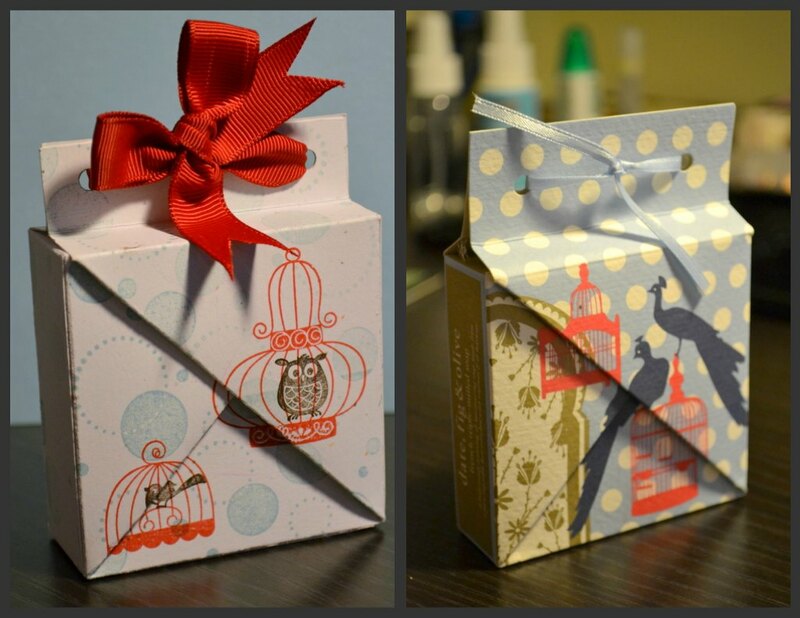 When I purchased the Aviary stamp set I did it with this project in mind. After deconstructing the packaging on the original soap, I adapted the size and created my own version to encase some lovely lavender soap I'd purchased. It was a bit of a challenge to get the stamps and folding all lined up, but overall I'm happy with how it came out. This is my first attempt after all. I think I'll have to have another go this weekend and perfect it. What do you think?